When planning for a vacation we get baffled with the various touring options. However, when you think of Italy, other places automatically fade out of your thoughts. However what you should know is that there is a lot more to Italy than the amazing places, such as Venice, Rome, Florence, and Naples – to name a few. Your vacation to Italy can become even memorable, provided you gel well with its culture. To start with, you get to know about the Italy food culture. 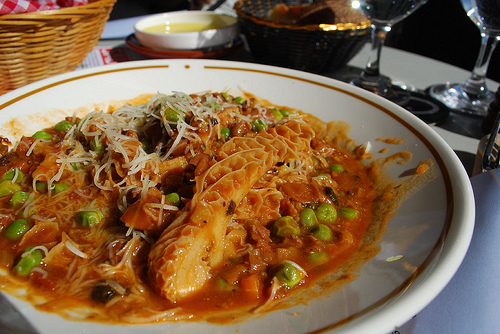 Your mouth will start watering even as you think of the Italian cuisine. One interesting aspect about Italy food culture is that just like cooking, Italians show a special interest to the art of eating too. Unlike most of the other cultures, Italians take time to relish their food. Their slow paced and relaxed eating style, respect for the food they eat, and the practice of spending time with family and friends while eating is definitely worth appreciating. There are a lot more things to Italy food culture that you’ll find intriguing! For instance, whenever there is an event, party, or function there’ll never be a shortage of food. It is for the simple fact that Italians believe in preparing food in excess than that actually can be consumed. What’s even more interesting is that they don’t dine until all the food is ready and all the members in the guest list arrive. This tradition clearly shows how much Italians value other human beings. After so much of preplanning and waiting, when it comes to actually sitting down and eating you’ll never see them hurry. Infact, no other country can beat the Italy food culture when it comes to hours spent on eating. Believe it or not! Italians spend three hours on an average to complete a ten course meal. Yet another customary tradition followed by the Italians is taking along a homemade dish whenever you’re invited for a dinner. This dish adds spice to the already existing sumptuous menu. As the courses are so many, they are served in a small quantity giving you the chance to relish all the courses. 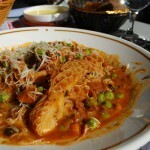 Having read all this aren’t you tempted to be a part of the wonderful Italy food culture and taste popular Italy food? Then, hurry! To savor these unmatched Italy food recipes and experience the exotic culture book your tour to Italy at Perillo Tours.